Indonesian style chili paste. Great for condiments and to add delicious hot taste for your cooking. 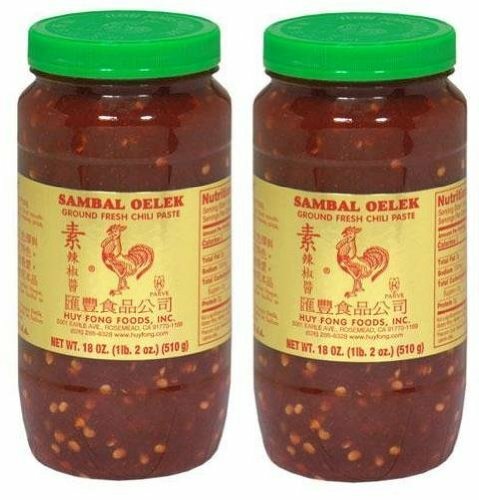 Sambal Oelek is made of chilies with no other additives such as garlic or spices for a more simpler taste. Use this sauce to add heat to a dish without altering the other delicate flavors. 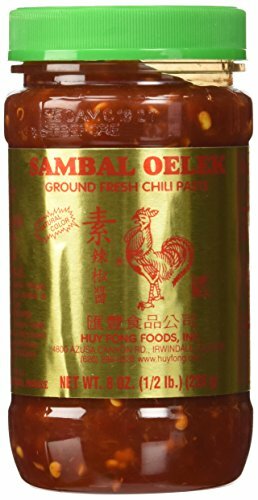 Sambal Oelek is made only of fiery red chilies, vinegar and salt - no other additives such as garlic or spices - for a simpler taste. Use this sauce to add heat to a dish without altering the other delicate flavors. 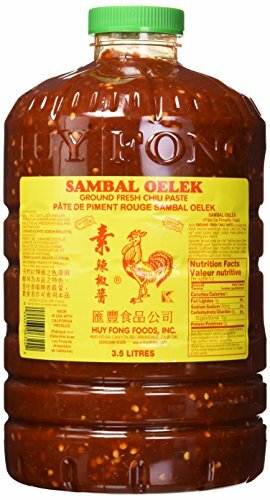 Huy Fong Sambal Oelek chili paste. A full bodied sauce with the pure taste of chilies. No other flavors have been added for those who prefer a simpler taste. 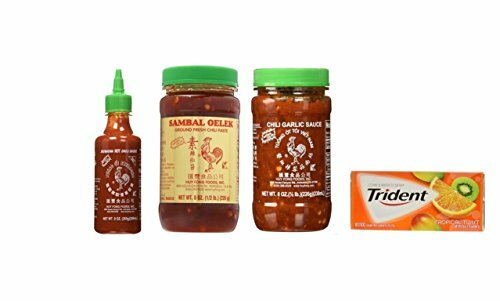 Sriracha Hot Chili Sauce 9oz: Our most popular sauce. Created from sun ripened chilies into a smooth paste, we have captured its flavor in a convenient squeeze bottle that's easy to use. It is excellent in soups, sauces, pastas, pizzas, hot dogs, hamburgers, chowmein or on anything else to give it a delicious, spicy taste. Like all our sauces, we use only the highest quality ingredients and never any artificial colors or flavorings. 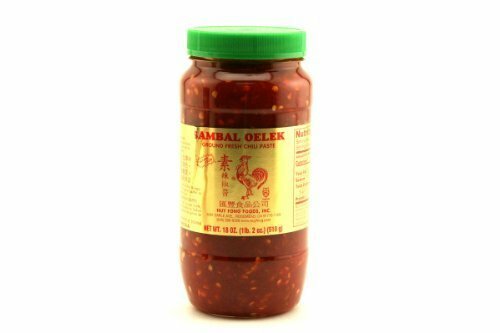 Chili Garlic Sauce 8oz Great for stir-frying or ready to use with any food. Spice up your pasta, meats, sauces or even pizza! A thick, chunky style hot sauce with a hint of garlic flavor. 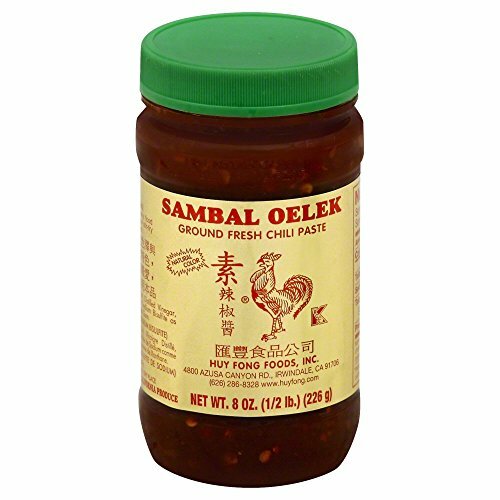 Sambal Oelek Ground Fresh Chili Paste 8oz./220g: A full bodied sauce with the pure taste of chilies. No other flavors have been added for those who prefer a simpler taste. 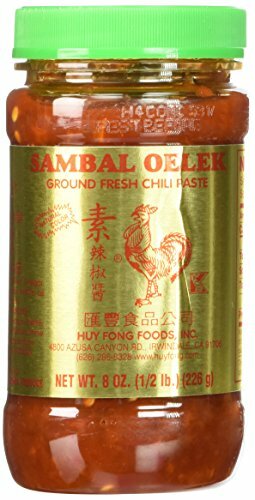 Huy Fong Sambal Oelek (Ground Fresh Chili Paste) (Ã¦Â˜Â¯Ã©Â‡ÂŒÃ¦Â‹Â‰Ã¥Â·Â®Ã¨Â¾Â£Ã¦Â¤Â'Ã©Â†Â¬) in 18oz (510g) Plastic Jar. Add GROUND FRESH CHILI PASTE to make any food mouth-warmingly spicy. Use it to heat up your stir fry dishes, pizza, eggs, pasta, or anything you desire. Product of USA. A pepper paste used as a condiment or with any dish. 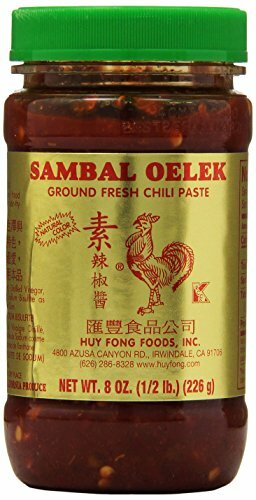 Copyright © Wholesalion.com 2019 - The Best Prices On Sambal Oelek Chili Online.